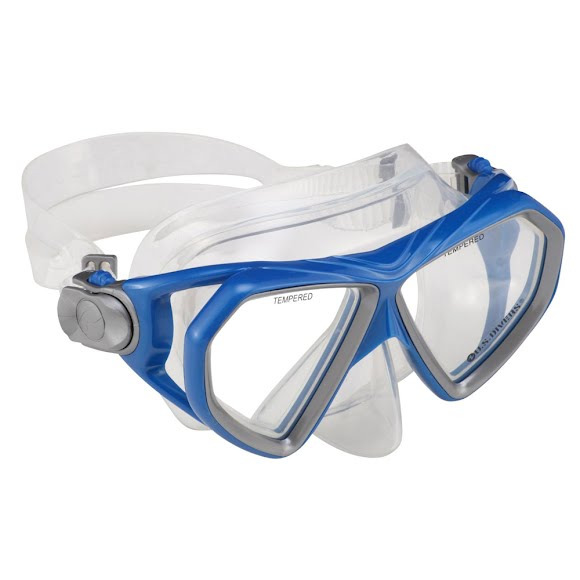 Specifically designed to fit smaller, narrower faces, US Divers Cardiff LX is a low-volume, two-window silicone swim mask ideal for multiple water activities. With an easy to use pinch and pull Pro-Glide buckles and a silicone skirt, the mask has a snug and comfortable custom fit and seal. Specifically designed to fit smaller, narrower faces, US Divers Cardiff LX is a low-volume, two-window silicone swim mask ideal for multiple water activities. With an easy to use pinch and pull Pro-Glide buckles and a silicone skirt, the mask has a snug and comfortable custom fit and seal. The two-window design lowers the volume overall for less flotation and provides a crystal clear view of what lies below.